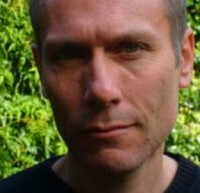 Mark Ford was born in Nairobi, Kenya, in 1962. He went to school in London, and attended Oxford and Harvard Universities. 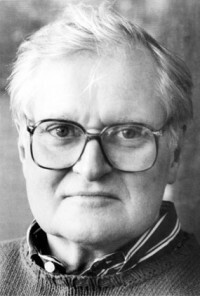 He wrote his doctorate at Oxford University on the poetry of John Ashbery, and has published widely on nineteenth- and twentieth-century American writing. From 1991-1993 he was Visiting Lecturer at Kyoto University in Japan. He currently teaches in the English Department at University College London, where he is a Senior Lecturer. Ford has published two collections of poetry, Landlocked (Chatto & Windus, 1992;1998) and Soft Sift (Faber & Faber, 2001/Harcourt Brace, 2003), and has also written a critical biography of the French poet, playwright and novelist, Raymond Roussel, Raymond Roussel and the Republic of Dreams (Faber & Faber, 2000/Cornell University Press, 2001). 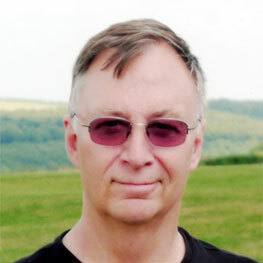 A Driftwood Altar, a collection of his essays and reviews, was published by The Waywiser Press in 2005. 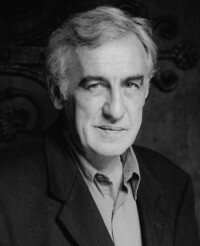 He is a regular contributor to the Times Literary Supplement, the London Review of Books and the New York Review of Books, amongst other journals. Philip Hoy was born in 1952, and educated at Glastonbury High School in Surrey, and at the Universities of York and Leeds. He has a Ph.D in Philosophy, a subject he taught for many years, in the UK, and, more recently, overseas. Since returning to the UK, in 1996, Hoy has been writing, editing and publishing. 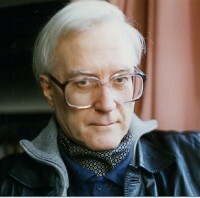 His most recent publications include "The Starry Night": Snodgrass's Van Gogh Reconsidered' (Agenda, London, 1996), "The Genesis of On Certainty: Some Questions for Professors Anscombe and von Wright' (Wittgenstein Studien, University of Passau, 1996), the proem and afterword to Peter Dale's Da Capo (Agenda Editions, London, 1997), "The Will to Power #486/KGW VIII, 1 2, 2: A Knot that Won't Unravel?" (Nietzsche Studien, Walter de Gruyter, Berlin, 1998), W.D. Snodgrass in Conversation with Philip Hoy (BTL, London, 1998), Anthony Hecht in Conversation with Philip Hoy (BTL, London, 1999, 2001, 2004), Donald Justice in Conversation with Philip Hoy (BTL, London, 2001), "The Interviewer Interviewed: N.S Thompson talks to Philip Hoy, editor of Between The Lines", The Dark Horse, 15, Summer 2003: 40-46. (If you would like to read this article, please follow this link: http://www.waywiser-press.com/imprints/darkhorse.html). Hoy is managing editor of Between The Lines, and executive editor too of The Waywiser Press, the press of which BTL is an imprint. He lives in Surrey. Michael Hulse was born in Stoke-on-Trent, Staffordshire in 1955, and educated locally (1966-1971) and at the University of St Andrews (1973-1977), where he took an MA in German. 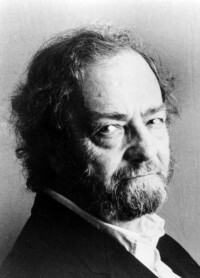 From the late Seventies until very recently, he lived in Germany, working as a university lecturer, and as an editor, reviewer, translator and publisher. 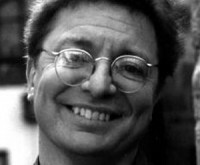 Hulse’s poetry collections include Knowing and Forgetting (Secker and Warburg, London, 1981), Propaganda (Secker and Warburg, London 1985), and Eating Strawberries in the Necropolis (Collins Harvill, London, 1991). Empires and Holy Lands: Poems 1976-2000, appeared from Salt Publishing (Cambridge) in 2002. Amongst the fifty or more books Hulse has translated into English are J.W. Goethe’s Sorrows of Young Werther (Penguin, London, 1989), Jakob Wassermann’s Caspar Hauser (Penguin, London, 1992), Botho Strauss’s Tumult (Carcanet, Manchester/New York, 1984), and W.G. Sebald’s The Emigrants (Harvill, London/New Directions, New York, 1996), The Rings of Saturn (Harvill, London/New Directions, New York, 1998) and Vertigo (Harvill, London/New Directions, New York, 1999). Hulse teaches on the Writing Programme at the University of Warwick.